As a nifty online experiment, Ben Gerber – of Troll in the Corner – and I came up with a cunning plan, a sort of blogger exchange program. 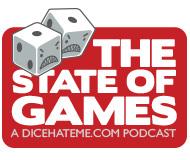 Once a month, Ben and I plan to share our views and musings with the readers of Troll in the Corner and Dice Hate Me. Look for more cross-pollination each and every month, and let us know what you all would like to see in these columns. It was 1995 and I was more than halfway through my undergraduate degree. Nirvana was on the radio. I was an active participant in my college RPG club and I had just moved in to a new apartment with a new roommate. As it so happened, my roommate was not in to RPGs but loved such games as Battletech and this newfangled thing called Magic: The Gathering. Now we all know about M:tG and what it entails, but then, I was an innocent, wide-eyed gamer looking for new experiences; Magic fit the bill and then some! My roommate and I soon discovered a few other folks around campus who were our age and into non-pro, but competitive play. We had an informal league and soon I was buying cards like there was no tomorrow. Boxes of boosters, boxes of starters. I would spend a decent percentage of my disposable income on new cards. Then we discovered a FLGS that offered. . . singles! That little spark behind my eyes flamed into a roaring fire of desire. There – right there – was the Lord of the Pit. I’d never heard of the Lord of the Pit before, but on seeing it I knew my black deck needed to have it. I spent the money and got it. Over the next year and a half, new sets of Magic cards would arrive on the scene and we would start up the next phase in our card stock arms race. My roommate would get a nasty rare card, and then we all had to have it to be able to compete with him. At this same time, I started branching out in to other CCGs as well – Wyvern, Doom Trooper, Middle Earth, Battletech. In fact, I dove so heavily into Battletech that eventually my roommate refused to play with me because I simply owned a larger variety of better cards. It was right there, circa 1997, that it finally hit me – in order to play CCGs on this level, I would have to spend tons of money collecting these cards. Duh! Over two and a half years, I had spent a good amount of money on cards. In some cases, the production of those cards had ceased and I owned at least one of every card. 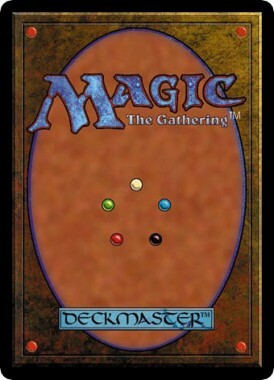 In the case of Magic: The Gathering, I realized that this would never happen. Time passed and I moved on from college, got a job, and started a family. I hadn’t touched any of my CCGs since early 1998, and hadn’t purchased a single card since late 1997. Now in 2003, I found myself looking towards other goals and ended up selling a good chunk of my CCG collection on eBay, including every single Magic card I’d ever owned. Fast forward to 2011 and there I was, sitting at a table during PAX East with my good friend Scott, pawing through our swag bag. What did I find there but a 30-card starter deck of Magic cards?! 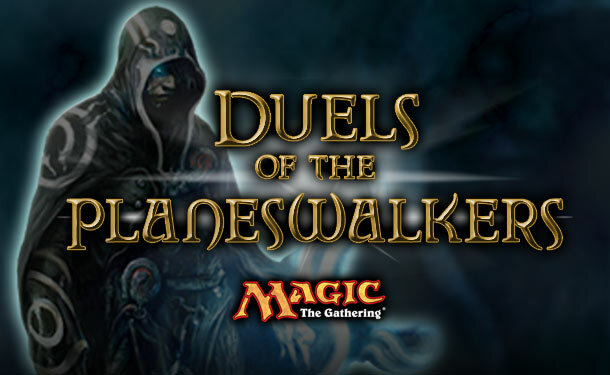 There were now duels and Planeswalkers but not much had changed with the essence of the cards…or the game. Grinning, we cracked open our packs and for the first time in about 14 years, I played a game of Magic. Over the course of the weekend, we spent about $25 each and built up a few pretty decent decks. This included buying a pre-made deck of pretty darned good cards, something that was unheard of back in the dark ages of the 20th century. We must have played 40 to 50 games between the two of us over the course of that weekend. I enjoyed the hell out of it but I also noticed something new about myself; that old urge to keep up, have the latest and the greatest cards, was just gone. We’ll still be playing Magic, but I doubt seriously if we’ll ever purchase another card, deck, or booster. We have enough cards to keep things interesting but not enough to be really competitive. And when the next set comes out, we’ll fall slowly behind the curve. And that’s okay. What this did spur within me was the desire to go back and look at the cards I do still have in my old collection. I still have all of my Wyvern cards, a decent number of Middle Earth cards, and about 600 Battletech cards – enough to keep things fun between a few players without having to go out and spend money on more stuff. So thanks, PAX East and Wizards of the Coast, for showing me that I had grown and matured a bit since college and that I could still enjoy a rousing time flinging cards about without losing my shirt to do it. I’m an old CCG and CMG veteran as well. And let me start by saying that you are completely right that CCG’s can be used in this way. Effectively, they become a “boardgame” that you can pull off the shelf and play whenever you want. 1) CCG’s are, sort of by nature, on the complex side. And it’s not necessarily rules complexity as much as just a need to know the cards and how they all interact. So you usually want to play with people who are similarly familiar/experienced with the game as you. This was always easy in a “normal” CCG community, but would be a lot harder if you have to teach/pull along people who don’t have a background with the game (like you would if you wanted to play this in your normal boardgame group). 2) If you don’t conform to the “standard” deckbuilding conventions (which sets to include and all), then you lose the portability of the CCG, because one of the cool things about CCG’s was that you could whip out your deck and play with a complete stranger (wow, that sounded pretty dirty, didn’t it?). But in this format, you’ll only be able to play with others who abide by your limitations (or play with your cards). 3) My absolute favorite thing about CCG’s was deckbuilding. 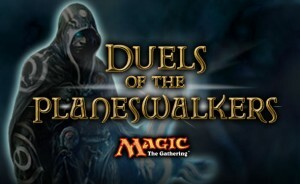 And of course, you can still build decks in this format, but it will either be severely limited (pulling from a very small pool of cards), or you’ll be building decks to play against other decks that you’ve built (if you already had a large inventory of cards), which is sort of like kissing your sister. 4) 1-3 all boil down to the fact that CCG’s are all about the community surrounding them. If you limit the community, you’ll be limiting the experience. Not that any of these things are deal-breakers or invalidate you experience or anything. Playing Magic regularly with another person or two in this format is still fun, I’m sure. And I’d actually love to be able to do the same thing from time to time. But I just think that it’s also important to acknowledge that there are a lot of elements from the full CCG experience that you’ll be missing. And to me, the gameplay from Magic in such a limited format probably isn’t worth a big investment of effort or time, especially when I could be playing boardgames more suited for that sort of environment. I hope one day the addictive quality of mtg does sort of fade and I can move on. I love the game but I know eventually it’ll have to take a back seat to almost everything.